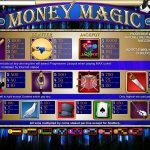 Money Magic is a 5 reel slot game released in 2009 by Rival. As you can suspect the theme here revolves around magic and of course money. Unlike many other games there is a progressive win fun that keeps going up and most of the symbols are magic related. The Wild in this game is the Magic Flowers symbol and they will substitute all other symbols to help to form a winning combination. All wins using the wild will also come with a 2x multiplier. 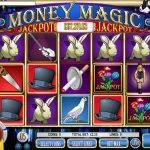 The wild is also the Jackpot symbol and getting 5 of it will win you 10,000 coins. The Scatter in this game is the Levitating Girl symbol and landing 3, 4 or 5 of it will win you 3x, 12x and 75x of your total bet. 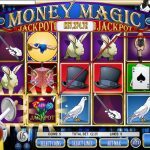 If you’re a fun of the classic slot games then maybe you should consider playing Major Moolah a 3 reel slot by Rival.